If you are a user of Silverstack 6 you might want to migrate your projects to Silverstack Lab 6. There is an easy process to perform this migration. You can also navigate to the folders from the Main Menu of Silverstack 6 or Lab 6. Select “Silverstack>Show Library in Finder” in the main menu bar at the top of the screen. This will open the project folder an bring you to the Silverstack.psdb file of your currently opened project. From there you can go two directories backwards to find yourself at the directory of the Silverstack library folders. 5. 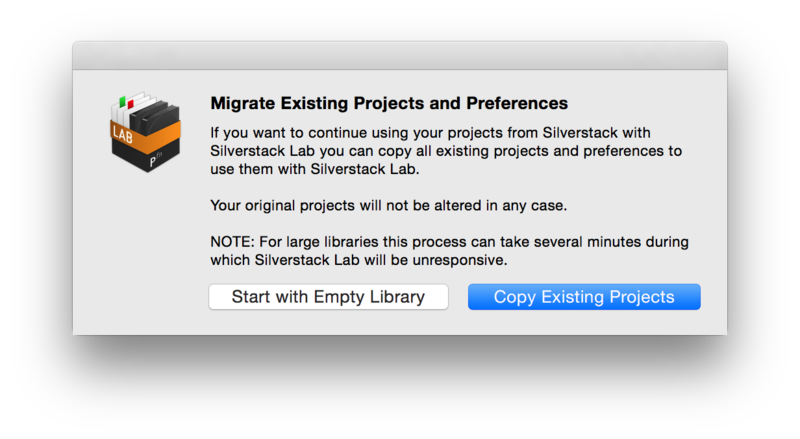 Choose “Copy Existing Projects” to migrate your Silverstack 6 libraries. 7. You can now use Silverstack Lab 6 with your projects from Silverstack 6. 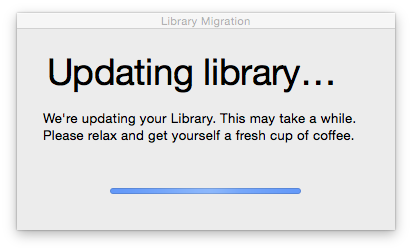 Please note that for large libraries the process can take several minutes. During that time Silverstack will become unresponsive. Leave the system running and the migration process will come to a solid finish. Go to the previously renamed “SilverstackLab6_old” folder. Copy them to the Silverstack Lab 6 folder that was automatically created during the migration. You will then have all your migrated and the previously created projects in Silverstack Lab 6 together at one place. If you want you can then delete the “SilverstackLab6_old” folder because now your current Silverstack Lab 6 library contains all your projects from Silverstack 6 and Silverstack Lab 6.